The course weaves through undulating terrain and features palms, ornamental trees, shrubs, seven saltwater lakes, strategically placed bunkers and generous greens. The course opened for play in October 2000, where its iconic clubhouse in the shape of a falcon with outstretched wings underwent a refurbishment for last year’s event. I think it’s a bit early to judge whether Rory McIlroy 13/2 is back to his best yet after winning in Australia at the end of last year. But with the odds being so low I am going for last year’s European and PGA Tour champion Henrik Stenson 15/2. There are not too many superlatives left that could be bestowed on the Swede and I think his 3-wood into the l8th at the World Tour Championship finally said it all about Henrik’s golf game last year. He will be turning up this week in confident mood and I was surprised not to see him being made favourite. 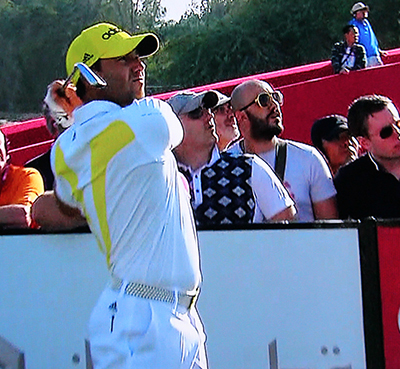 Sergio Garcia 11/1 should be another player that comes into this week in confident mood. Sergio had a runners-up finish at the Nedbank Golf Challenge at the back end of last year firing final rounds of 66 and 65. Garcia only finished outside of the Top 25 three times in European and PGA co-sanctioned event last year, with five of those being Top 10 finishes and he also won the Thailand Golf Championship. One player who seems to love playing this week’s track is Martin Kaymer 16/1 who has not only won here three times, but has a runners-up and another Top 10 finish to his name in the last seven events. The German didn’t win last year on the European tour but he had seven Top 10 finishes and wasn’t out of the Top 25 in his last six events. Defending champion Jamie Donaldson 25/1 is another player how should come into this week in confident mood, he had a solid, if not a great Volvo Golf Champions finishing inside the Top 15. Jamie’s runners-up finish at the Nedbank Golf Challenge came on the back of four Top 10 finishes in five events including another runners-up finish at the Turkish Airlines Open. I did tip Branden Grace 35/1 at last week’s Volvo Golf Champions and his final round 68 left him one short of making a play-off with compatriot Louis Oosthuizen. 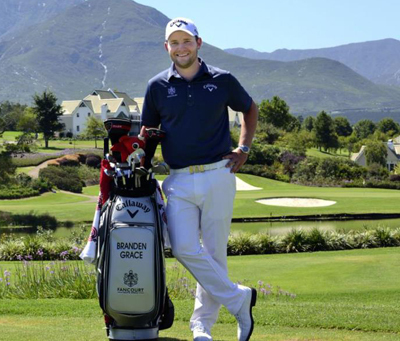 Branden has not been out of the Top 20 in the three events he has played so far this year and his last two have been Top 10 finishes and I don’t think it will be long before the South African is back in the winners circle. Last year was a bit of a rollercoaster year for Rafael Cabrera Bello 90/1 but I was surprised to see him this far down the odds list. Rafa did have a six Top 25 finishes in seven events at the start of last year and faded dramatically, but finished the year with two Top 15 finishes from his last three events. It’s a big year for the Spaniard who has aspirations of making the Ryder Cup team and a good finish here could set him up for a great start to the season.